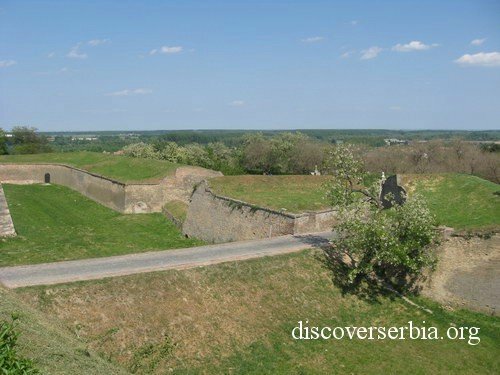 Petrovaradin Fortress is one of the largest and best preserved fortresses in Europe and represents the work of art of baroque military architecture. It was built on the 50 m high promontory over Danube. Although 40 000 people have participated in its construction, the construction has lasted for years (from 1692 – 1780). The fortress has been built by the advanced methods at the time, because the Austrian Empire wanted to withhold the return of Ottoman Empire in the middle Europe. Before the works terminated, in the year 1716, the fortress has been the place of the battle: the Turks army was beaten by the Austrian prince Eugene of Savoy. Till the year 1918 the fortress has been the stand of the Austro-Hungarian army and from 1948 has become the civil construction, used for the cultural events and festivals. Fortress had preserved its authentic buildings. It is constructed of 5 fortresses that had been put together into one functional unit. It represents the strongest Austrian fortress, so it is also named the Gibraltar on Danube. Total surface is 120 hectares and it was suitable for 10 000 solders. The greatest tourist attractions represent underground military corridors and the maze of chambers in the length of 16 km on 4 levels. The entire underground system has been built with excellent conducts for air, so in the forth level there is always fresh air. Corridors can be heated, and the corridors can brought down in order to prevent the eventual enemy advancement. 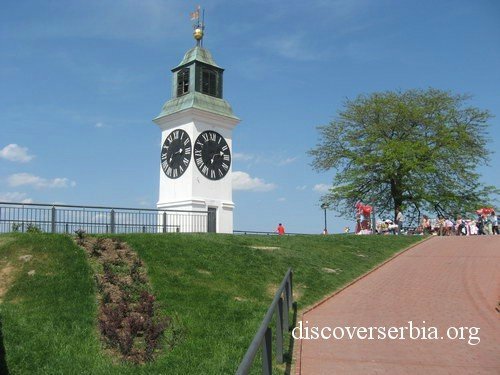 The trade mark of Novi Sad is the tower of Saint Luis, with its “drunken clock”- the gift of the Empress Maria Theresa. Its nickname was given because of its unique characteristics: the clock in cold days goes slowly and is late, and in summer it goes faster and the time on it rushes. Another unusual characteristic of this clock is that hour pointer shows minutes and the minute pointer shows hours. It has been made on purpose, so that the fishermen would have the possibility to see better what time it is. The clock is daily regulated manually. 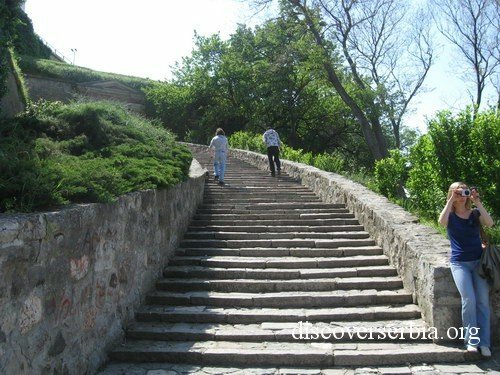 Petrovaradin fortress is the most attractive historical monument in this part of Serbia.